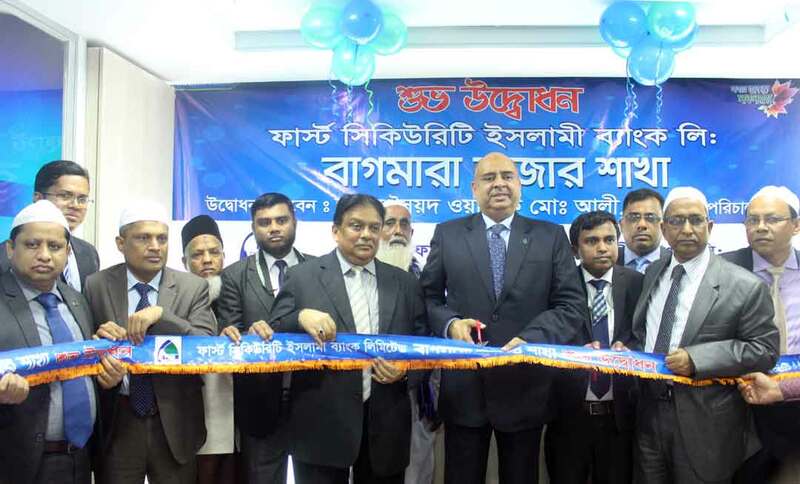 The Bagmara Bazar Branch of First Security Islami Bank Ltd. started its operation at Bagmara Bazar, Lalmai, Cumilla on November 26, 2018 with a view to providing shariah based modern banking services to its clients. Mr. Syed Waseque Md Ali, Managing Director, First Security Islami Bank Ltd. inaugurated the branch. Among others, Mr. Abdul Aziz, Additional Managing Director, Mr. S. M. Nazrul Islam, Head of General Services Division, Mr. Mohammed Tanbir Hasan Siddique, Manager, Bagmara Bazar Branch along with local elites were present on the occasion. A Doa Mahfil was organized in this regard.